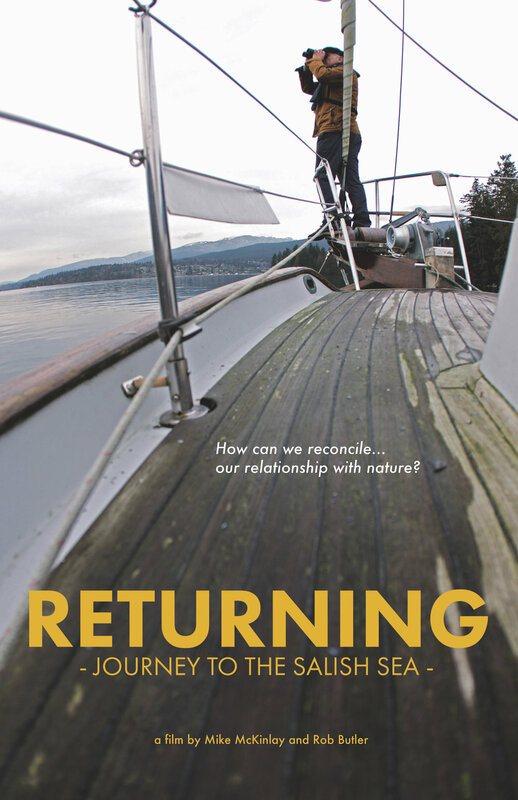 My newly completed film ‘RETURNING’ recently premiered at the Port Moody Inlet Theater (Vancouver BC) and it was such a hit that we had to do a second showing! The film stars scientist Rob Butler and it explores the idea of nature culture on the Salish Sea. This 33 minute mini feature will be making it’s broadcast debut on the Knowledge Network in 2019. Myself and co-director Isabelle Groc took home a Panda Award for Best ‘Impact’ film at the Wildscreen International Film Festival in Bristol UK for our feature length documentary Toad People. Commercial spot that I directed and shot for international clothing brand Altamont. Very big news recently as our film Toad People has been nominated for an 'IMPACT' Award at the acclaimed Wildscreen Film Festival in Bristol UK. Our film will also be making it's UK theatrical debut at the fest. The Leo Awards is Western Canada's most prestigious red carpet awards gala and June of this year I took home a Leo for Best Cinematography in a Feature Documentary for the film 'The Road Forward'. I'm over the moon! Recently made the pages of Knowledge Network Magazine with an article on our film The 'Road Forward' which will have it's broadcast debut on Tuesday, August 7th at 9:30pm. You'll also find an interview in there about our even more recent film 'Looking at Edward Curtis', which broadcast debuts on Tuesday August 7th at 9pm. A reel showcasing images from multiple documentary films and commercials that I've worked on over the past few years. Shot this film for director Marie Clements and it's been getting much praise from the Doxa Documentary Film Festival audiences. 2018 will see the release of a Knowledge Network Original film that I DP'd - 'LOOKING AT EDWARD CURTIS.' Directed by Marie Clements, this project is an in depth look at the photographer, and follows the voices and images of the people who were connected to him. Spent a significant portion of 2017 working as a camera specialist on the latest Star Wars Battlefront 2 game campaign. It was a huge honor to work under the umbrella of Lucas Arts and Motive Montreal. Celebrated our nomination for TOAD PEOPLE at the Jackson Hole Film Festival in Wyoming. Made some great connections and our film had a successful showing + Q&A. Walked the red carpet with Toad People co-editor George Faulkner. Our film being presented for nomination by 'Ivory Game' Producer Walter Kohler. So honored! I am excited to announce that our film Toad People has been selected as a finalist for the 2017 Jackson Hole Wildlife Film Festival. So proud of our team! For the past 3 years I've been documenting the elusive Barrier Kult skateboard gang, resulting in a 30 minute spectacle of skate destruction. 'Horde 2' is a sequel to their original release in 2004 and international premieres have ensued including Vancouver BC, San Diego CA, and Boston MA. Nominated for best Cinematography at the Leos in 2017 for my Feature Film TOAD PEOPLE. So honored! 'The Road Forward' and 'For Dear Life' make the pages the latest POV magazine - two films that I've recently had the pleasure of DOP'ing. Learn about the making of these two films plus interviews with cutting edge director's - Marie Clements and Carmen Pollard. Had an enriching experience shooting Carmen Pollards new film FOR DEAR LIFE. A lot of hard work has paid off as the film will makes it's premiere at the esteemed DOXA Documentary Film Festival on May 7th. So honored to have been the Director Of Photography for this incredible feature film that we've just learned has been accepted into Hot Docs. Studio lighting setup with aeralist Rachel Sheen. Overhead lighting and backlighting techniques with the Sony FS7 in CineEI. Cinematic minute forty-five commercial showcasing Skull Skates rider Stepan Soroka. Experimenting with Noir-style lighting, different spotlighting techniques.